Awards instituted by Kalasagar as part of the 89th birth anniversary observance of chenda maestro Kalamandalam Krishnankutty Poduval have been announced. All the award winners were selected through the nominations from the art lovers. 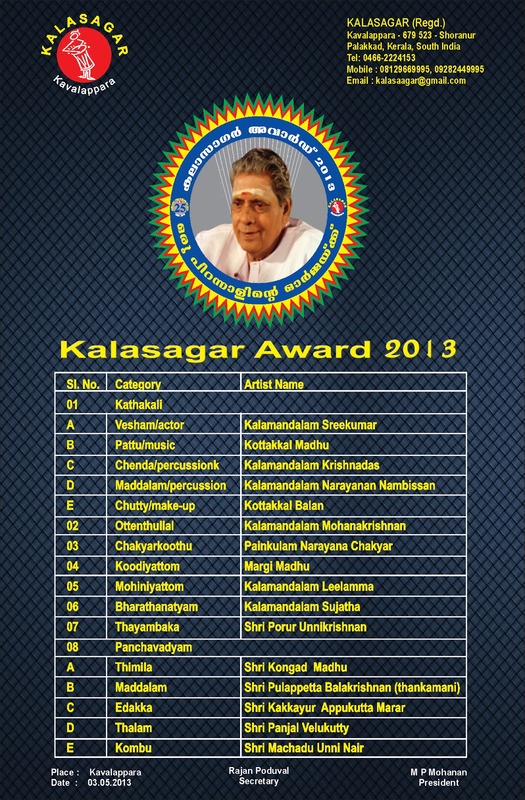 The awards will be presented on May 28 at Kerala Kalamandalam Koothambalam. Ashtapadiyattam - a dance drama conceptualized and choreographed by kalamandalam krishnankutty poduval is being revised by rajan poduval will be presented at the function. 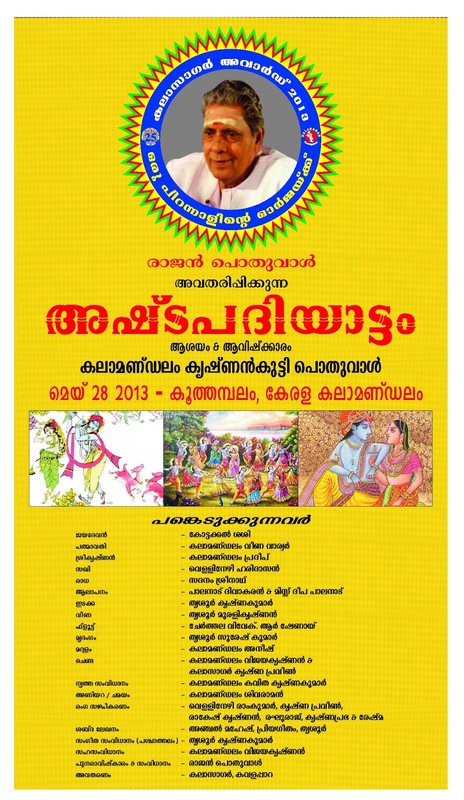 This will be followed by Kirmira Vadham Kathakali by leading artists of Kerala kalamandalam.